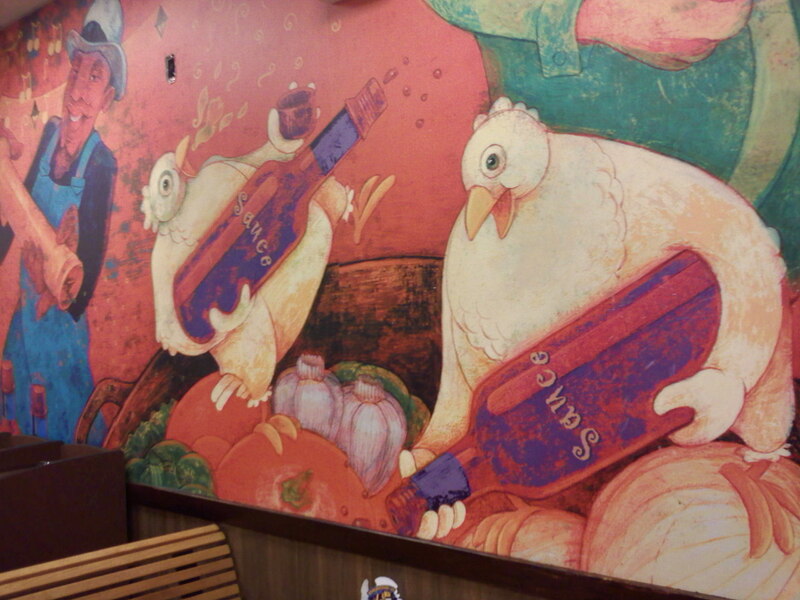 Cell phone picture I took of a Popeyes wall several months ago. I actually love this picture though and think the chickens are really cute. 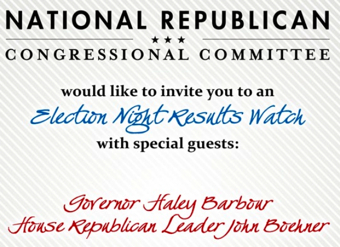 The Republicans are having a party on election night at the Grand Hyatt hosted by Haley Barbour and John Boehner. Even though I'm helping the O'Malley Campaign, I just made a phone call and had myself added to the press list. 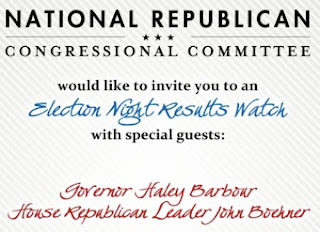 It should be fun watching O'Malley win with a bunch of Republicans. And also weird watching most of the other Democrats get killed with John "Rainman" Boehner. This is a pretty accurate caricature of me as an evil Jew crushing people's houses and celebrating their misery. 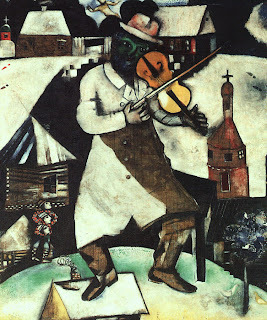 It's where the ethnic slur "Fiddler on the Roof" comes from. By one of my favorite artists, Marc Chagall. I think a group of Jews should be called a "flock" after seeing all the bird beaks at my Grandpa's 85th birthday party. Mamma mia! Juan Williams's firing seemed pretty justified to me, despite Huckabee's devastating boycott of NPR. I wouldn't want to employ a journalist who's afraid to fly on a plane with Muslims; that would get in the way of the job. Update: Why is it so hard to understand that NPR only employs badasses? There's no room for people who pee their pants when they see hijab on a plane. Update: Maybe I should have said "sheiks on a plane." No never mind, that would have been stupid. Good thing I didn't say it. Update: Okay, fine, for the sake of search engine optimization, I'll say it: There's no room in NPR for people who pee their pants when they see sheikhs on a plane! 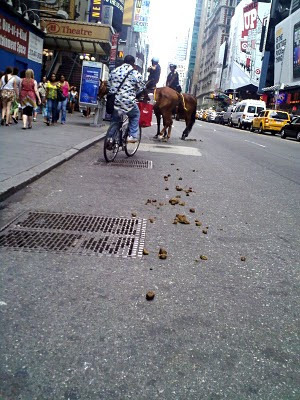 There are way too many puns I could make about this photo for me to even bother. I took this in Manhattan a couple months ago with my cell phone. Click the image for full size. 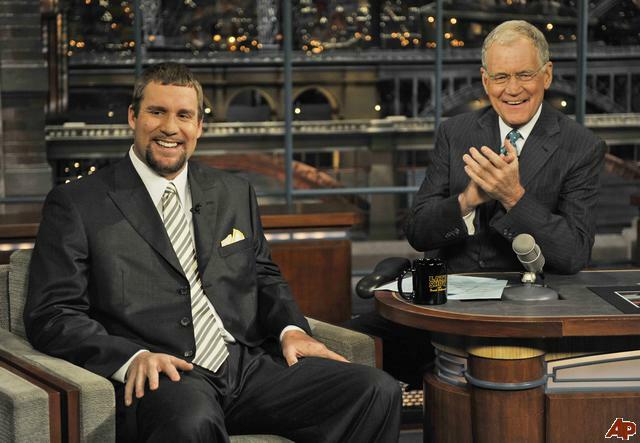 Ben Roethlisberger is one of my fantasy quarterbacks. Here is the latest update I read for him on Yahoo! Sports. "Advice: Roethlisberger was cheered loudly during his first regular-season game since he was accused of, but not charged with, sexually assaulting a Georgia college student in March. He had his way with a shaky Cleveland defense...." Good one, Yahoo! Sports and STATS, Inc.! Here is the official update on Stats.com, a sports data website used by many websites including Yahoo! Sports. You really raped those Browns, Big Ben! Ho ho! Arlington is weird and it's like Maryland, but people are even MORE professional! I'm pulling another staple out of my right knee. Gah, so much blood! I feel like I'm in Dances with Wolves. Update: It took fifteen minutes, but I got it! There's only one staple left now.